Craftex Cherry Twist is a high quality bacterial deodoriser that leaves a cherry fragrance. The formula is gentle enough to use on a wide range of carpet fabrics, including wool. This product is available in a 5 litre bottle making it ideal for commercial cleaning. It is available to buy as a single product or as a bulk buy option. Craftex Citrus Fresh is a high quality deodoriser that is ideal for commercial cleaning. This product removes odours caused by pets, food spillages, smoke, vomit and urine; leaving behind a citrus fresh fragrance. Craftex Citrus Fresh can be used on a range of fabrics including wool. It is available to buy as a single product or as a bulk buy option. The Craftex Tropical Burst Deodoriser is a powerful deodoriser that has a tropical fragrance. This product is ideal for commercial use and removes a wide range of odours such as those caused by pets, vomit, food spillages, and urine. As well as this, it contains added bactericidal that kills germs. It is available to buy as a single purchase or as a bulk buy option. 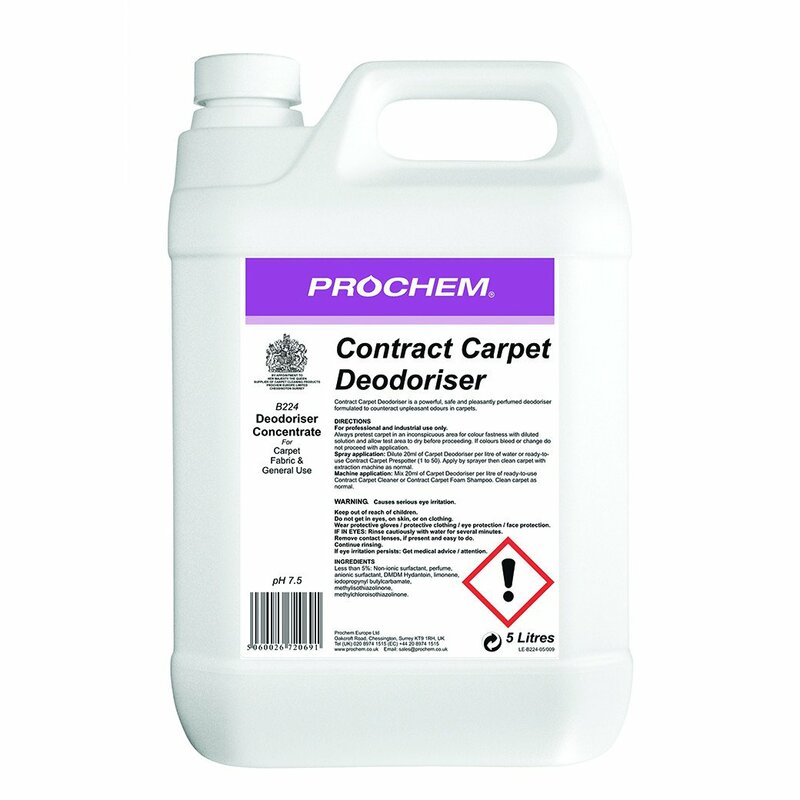 This can be diluted with water and simply pre-sprayed onto carpet or it can be added to extraction or shampoo cleaning solutions. The Cherry Carpet Deodoriser leaves carpets smelling fresh - it doesnt mask the smell, it eliminates the smell!